Danang is the fourth largest central city of Vietnam, after Ho Chi Minh city (Saigon), Hanoi and Hai Phong. It has an area of nearly 1,260 km2, and a population of 752,493 people. Together with Hue, Danang is the city in the South Center Coast, on the coast of South China Sea, the middle of Vietnam. The city itself has neither the atmosphere of Hanoi nor the hustle-bustle of Ho Chi Minh City, but has its share of sights, and is close to the charms of Hoi An and the imperial capital of Hue. Why do they call it the seaside & riverside city. 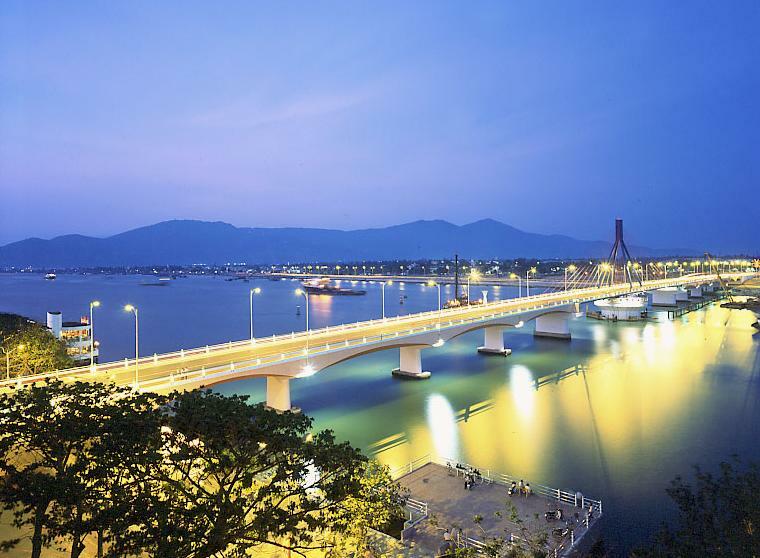 Because Danang is a picturesque city by the Han river, and by the coast of the East Sea with distinctive attractiveness in comparison with other sea cities, luring hundreds of thousands of tourists from around the world!